The Akkedisberg farming project is a Smallholder Wine Project located on the Raka Wine Estate outside Caledon. The project consists of 20 beneficiaries, the majority of whom are employed at the Raka Wine Estate, and is 100% black owned. The farming project is led by Mariette Moos as one of its directors. Moos has acquired solid knowledge in wine grapes’ production throughout her working experience in the wine producing industry. The aim of the project is to empower the beneficiaries and expose them to mainstream agriculture. The majority of these beneficiaries have many years of working experience in the wine industry and all farming activities are conducted by them with additional labour organised by their mentor. Beneficiaries received financial assistance from the Western Cape Department of Agriculture (WCDoA), via their Comprehensive Agricultural Support Programme, administered by the Wine Grape Commodity Project Allocation Committee. Casidra, appointed as the project implementer to roll out the funds according to the project’s business plan, assisted the beneficiaries with the establishment of their 4 hectare vineyard for wine grape production. A Memorandum of Agreement between Casidra and the beneficiaries was signed to establish 4 hectares of vineyard equipped with trellising and an irrigation system, and to procure production inputs for the first year of wine grapes’ production. The beneficiaries expressed their gratitude for the manner in which the entire project was implemented and managed. They thanked both the WCDoA and Casidra, particularly the Project Manager, Martha Nchabeleng. 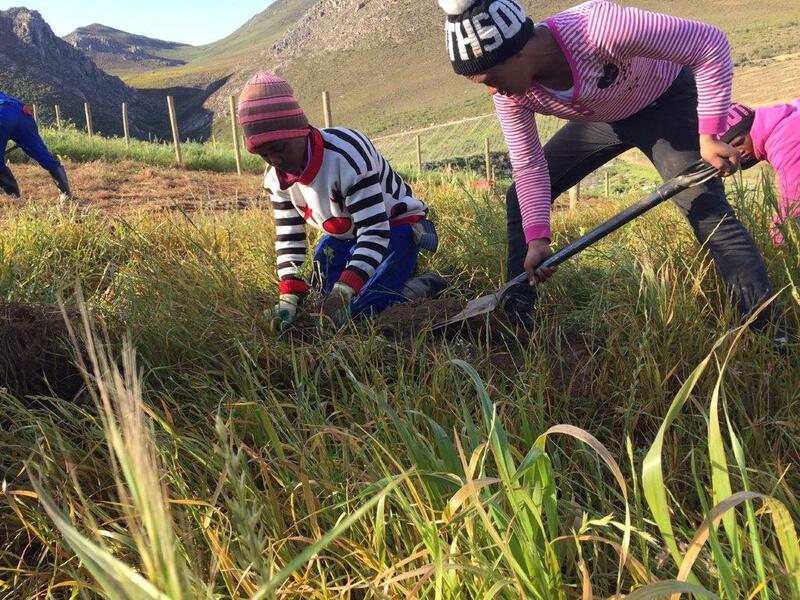 According to Nchabeleng, the beneficiaries’ commitment and active involvement on a day-to-day basis on the farm and their willingness to learn from their mentor are very impressive. “Although the newly established vines are not yet in production, they have greater potential to bear good quality products at a later stage”, Nchabeleng ended.